1.8 million people in the United States are living with amputations, and between 30,000 and 40,000 amputations are performed in the United States on an annual basis. Below knee amputations are the most common amputation surgery and comprise approximately 23% of lower limb amputations. The majority of below knee amputations are performed on individuals aged 65 and older. Trauma – a severe injury resulting from and event such as a vehicle accident or serious burn causing severe fractures and/or nerve injury. Diabetes – people who suffer from diabetes may experience poor circulation because of the narrowing of the arteries. 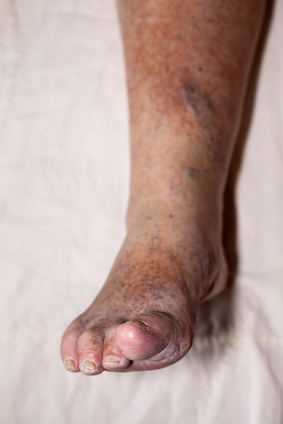 This is known as peripheral vascular disease (PVD). In this case, poor circulation does not allow the extremities to obtain sufficient nutrients and oxygen from the bloodstream. The affected tissue begins to deteriorate, and this can lead to amputation. PVD is the leading cause of below knee amputations. Cancer – untreatable tumors in the bone or muscle in the lower limb may lead to below knee amputation. Infections – if infections are untreatable with antibiotics or other remedies, removal of the lower limb may be required. Neuroma is the thickening of the nerve tissue, which can cause severe pain. Neuroma most often affects the feet. Congenital Limb Deficiency is a common cause of below knee amputation among small children and takes place when a limb does not completely form. Complex Regional Pain Syndrome (CRPS) is a chronic pain condition that affects the limbs and is usually caused injury or trauma to that limb. It is believed that CRPS is caused by a malfunction or damage to the peripheral or central nervous system. While there are many other reasons that a person may choose below knee amputation, those listed above are the most common. Below knee amputation surgery is a serious undertaking aimed to address serious issues in the foot or other areas below the knee. Any decision to amputate involves multiple factors and should include many discussions between the patient and their team of doctors. Below knee amputation surgery is a means to improve the quality of life for many patients. There are a number of things you can do to prepare for the surgery that facilitate your transition to an independent and hopefully pain free lifestyle soon after surgery. Here are a few helpful hints that will better prepare you for surgery. Talk to your team doctors about best practices pre-surgery and know what to expect from rehabilitation. Consult your primary care physician, orthopedic surgeon, prosthetist (specialist in the design and fit of artificial limbs), physical therapist, and rehabilitation doctor. The patient may also want to discuss the surgery with a psychiatrist, social worker, or someone who has already undergone below knee amputation. Seek out a below knee amputee who is of a similar age to find out tips for a successful surgery and rehabilitation. Look for support groups to help you answer questions about the physical and psychological effects of amputation and tips on how to return to ideal lifestyle. Familiarize yourself with the transition to a prosthetic and seek out methods to ease that transition. A list of support and peer groups is included at the end of this article. Begin to think about changes that need to take place at your house. Will you be confined to a wheelchair for a period of time? If so, you might need ramps positioned in your home. Think about ways to transition to independence post-surgery. You may want to reposition furniture, kitchen items, etc. to make them more easily accessible. Utilize the BKA community (blogs, YouTube, Facebook pages), and learn tips to make your post-surgery transition more comfortable. Did you know below knee amputees use approximately 25% more energy walking post-amputation? It is incredibly important to maintain or increase fitness levels and muscle strength before surgery. Many doctors will prescribe exercise to maintain muscle conditioning in the upper leg and improve strength and flexibility in the hip and knee. Straight leg raises and knee extension exercises should be performed regularly before surgery. Some below knee amputees have stated that learning to walk with a walker, crutches, knee scooter, or hands free device, such as iWALK2.0 helped them tremendously post-surgery. Learning to balance while not bearing weight on one leg can be challenging and it may take time to adjust. 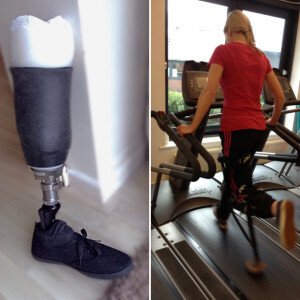 Advances in medical device technology, such as iWALK2.0, have enabled many BKA patients to learn to walk with a prosthetic even before amputation surgery and have eased the transition to a prosthetic foot or prosthetic leg. Utilizing this technology not only helps pre-surgery patients maintain muscle strength, but it also has shown to smooth the transition to utilizing a prosthetic. Maintaining a healthy diet and proper nutrition before surgery is also very important. Your body needs nutrients to maintain muscle mass and to heal properly. Exercise is important, but a healthy diet can eliminate weight gain and prepare your body for a quick recovery and successful rehabilitation. Smoking is bad for everyone, but it is especially bad for someone who is planning to undergo major surgery. Smoking not only causes heart and lung disease, but it can lead to a number of other complications. These include problems with healing in tissue and bone, increased pain, and even arthritis. Stop smoking immediately. Is BKA Surgery Right for Me? Good blood flow is important factor in the body’s natural healing process. In order to heal, tissue and bone need proper nutrients and oxygen, which is delivered from the bloodstream. If you have a history of poor circulation, it is very important to have a proper evaluation before any surgery. If you are contemplating below knee amputation because of infection or tumors, it is very important to have a thorough knowledge of the location of the issue. Those found above the knee may require a higher level of amputation. Scar tissue or muscle loss can inhibit the ability of the body to heal. Below knee amputees must have sufficient skin and muscle to heal the wound and to use a prosthetic. If you experience limited knee function or significant knee pain, your ability to use a prosthetic post-BKA will be inhibited. When contemplating any type of surgery, it is extremely important to consult with your team of physicians to determine the most appropriate course of action. Below knee amputation is performed to remove diseased tissue and crushed or severely fractured bone. Uneven areas of bone will be smoothed, blood vessels and nerves will be sealed, and muscles will be cut and shaped in order to prepare the remaining limb for prosthesis. The level of the amputation will depend on the location of the damaged tissue and/or bone, and it should be noted that, in general, there is no advantage to a longer residual limb. In fact, a longer residual limb can result in the use of a “low profile” prosthetic, which may not work as well as a longer prosthetic. 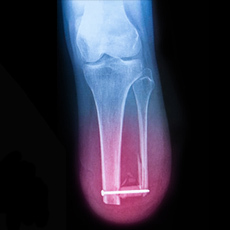 A surgeon will work to leave several inches of bone below the knee in order to properly fit an artificial leg and to allow for the improbable chance that a revision surgery is necessary. Below knee amputation surgery generally lasts between 2 and 3 hours. An anaesthesiologist will put the patient to sleep with a nerve block and sedative or spinal anaesthetic. An incision is made below the level of amputation, and the skin and calf muscles are cut away so as to leave a flap that will eventually fold up over the residual bone. After the leg bones are cut with a special surgical saw, the flap will cover the bone and will be held in place with stitches or staples on the shin side of the leg. The residual calf muscle and skin provide protection to the stump. While most surgeries are done using the flap method, some may be performed using a distal incision in which the suture is located at the very end of the stump. Hospital stays for below knee amputees range from one night to up to two weeks. This depends on the overall health of the patient and how quickly they are able to gain mobility. In general, a patient may be discharged once they are able to move with crutches or a walker or if they have help at home. Recovery from below knee amputation is different for each patient and is highly dependent on age and overall health of the individual. In general, the incision from the surgery will heal over a period of two to eight weeks. During the first few days of recovery, a physical therapist will help the patient form some basic exercises and functions. These will include gentle stretching and range of motion exercises. In addition, the therapist will assist with learning how to roll in bed, sit on the side of the bed, and move safely to a chair. It will also be important to learn how to position the affected leg to prevent contracture, which is muscle tightening resulting from the knee being bent too much. Protecting the limb and incision after surgery is paramount. One small bump can open the incision, delaying recovery and possibly creating the need for additional surgeries. When will you be able to walk again? Every individual heals at a different pace, so it is very important to adhere to your doctor’s specific instructions. It is important to note that your incision will need to heal completely before you are able to walk utilizing a prosthetic leg. 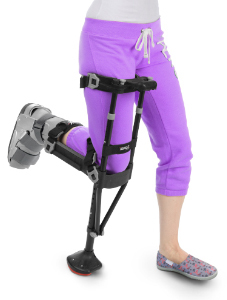 However, below knee amputation patients are able to walk with crutches soon after surgery. 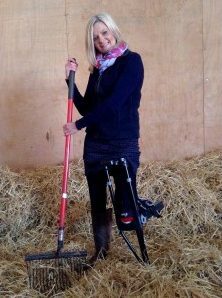 Some below knee amputee patients are able to use iWALK2.0, a hands-free crutch device, within two weeks after surgery. This enables them to use both legs instead of relying on crutches or a wheelchair and promotes exercise, blood flow, and independent living. The iWALK2.0 also acts as a prosthetic “training wheel,” preparing the new amputee for adaptation to a permanent prosthetic. Swelling is a very important factor in the healing process, and all swelling must subside before a permanent artificial leg can be fitted. 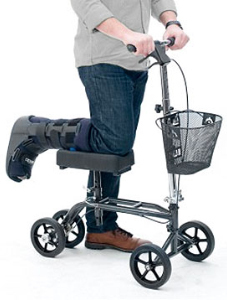 Swelling can continue for many months, so it is important to be patient and find other means of mobility, such as crutches, a knee scooter, wheelchair, or hands-free crutch, such as iWALK2.0. It is also important to adhere to a strict exercise and stretching regiment. Maintaining strength and flexibility in your muscles, hips and knees will ease your transition to a permanent prosthesis. In general, you will be fitted for your permanent prosthesis between 3 and 6 months after surgery and once swelling has completely subsided. The artificial leg will fit to the residual leg but will need to be continually adjusted during the course of full recovery to account for changes in muscle mass, residual swelling, or the presence of pressure points from the prosthesis. Most amputees experience significant shrinking of the residual limb for a year or more. There is a learning curve associated with utilizing an artificial leg, and patients should be prepared to learn to walk with the new limb. Oftentimes, parallel bars are used, then walkers, and even canes to help the patient adjust to walking with an artificial leg. In addition to learning to walk with the prosthetic leg, it is important to learn to care for your residual limb. Massage and application of ointment is sometimes necessary, and you should consult your prosthesist to determine the best method of care for both your residual limb and artificial limb. Phantom limb pain is pain that is felt in the area of the amputated limb. While the limb is no longer there, the nerve endings still send signals to the brain, which can be interpreted by the brain as stinging, cramping, heat, etc. These generally subside over a period of six months. Atrophy is a loss of muscle strength and can occur because of loss of use of the affected limb. Atrophy occurs immediately and muscles can deteriorate a rate of 1 – 2% per day. Bone spur overgrowth is an undesired bone formation at the end of the residual limb and may affect the ability to wear prosthesis. 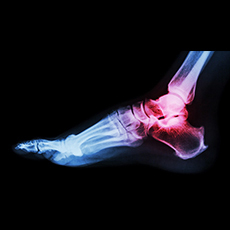 Implants can be used to inhibit the occurrence of bone spurs. Contracture is muscle tightness that limits motion in the joints. Contracture is most common in the knee or hip joint and is due to lack of movement in those joints. It is very important to maintain correct joint posture and range of motion to avoid contracture. The psychological effects of losing a limb can range from fear to depression to grief. It is very important to seek counseling and support from a psychologist or social worker and the amputee community. Remember, amputations are performed to help people return to an active and independent lifestyle. Overtime, your physical activity will increase and you will gain independence. You will become more comfortable walking with your artificial limb, especially navigating stairs and uneven terrain. You will learn to maneuver within your living space with the prosthetic and without. You will learn to use the shower and may find that a stool or shower chair may be necessary. You will find that crawling may be necessary when using the bathroom at night or when you aren’t wearing your prosthetic. As time goes on, you will learn what works for you and that living as an amputee does not necessarily mean that your pre-amputation lifestyle has been compromised. Your prosthetic will give you back the mobility that you lost due to pain prior to surgery and during the recovery period immediately following surgery. While this is a very exciting phase for many amputees, it is important to prepare for the prosthetic and learn to care for it. This will allow you to receive the maximum benefit from the artificial limb. Maintain or Build Strength: It is very important to maintain muscle strength both before surgery and as soon as the doctor indicates after surgery. Walking with a prosthetic takes more energy that walking on your feet, so it is important to keep your leg muscles strong and healthy. Performing conditioning exercises both pre and post surgery is often recommended and will help you gain mobility quickly. Maintaining muscle mass through using the iWALK2.0 hands free crutch can be a significant benefit during the post-amputation / pre-prosthetic period. Prosthetic Care: Follow washing instructions on anything that has contact with your skin including liners, socks, and the inside of the socket. Be sure that you allow ample time for everything to dry to avoid a fungal growth that could lead to infection or abrasion. Helpful Hints: Know how to fit your socket correctly by identifying landmarks and making sure to meet them. If the socket is too big or too small, see your prosthesist immediately. Keep a bag handy that includes anything you may need in an emergency, including socks, bandages, and ointment. The fit of your prosthesis changes throughout the day, so be sure to have socks on hand and add them when needed. Suspension Products: Sleeves are used to hold the prosthetic firmly to your limb, keeping the prosthetic from slipping or turning, during all phases of the walking motion. They are generally made from neoprene or silicone gel in a variety of sizes that fit over the top part of your prosthetic socket and middle thigh. Prosthetic Socks and Sheaths: Prosthetic sheaths (or liners) and socks are the materials that are in contact with the residual limb. A prosthetic sheath helps to ease friction between the skin and sock. The prosthetic sock is used to help maintain a comfortable and even fit in the event that the volume of the residual limb changes. This is accomplished either by changing to a thicker sock or wearing more than one at a time. Caring for your Residual Limb: Wash your limb with soap and water each day (more often if you perspire heavily) and allow it to dry completely. Check your limb for any redness that doesn’t dissipate with in a few minutes after removing the prosthetic. Check for any skin breakdown. You may need to use a mirror if you can’t see the end of your limb. If you have skin breakdown, stop using your prosthetic immediately, and contact your prosthetist in order to arrange for an adjustment. There are times when you may not be able to or won’t want to wear your prosthetic. This may occur at the end of the day when you are simply relaxing in your home, taking a shower, or are doing something that may damage or stain your prosthetic. Here are some alternatives to wearing your permanent prosthetic. Wheel chair: Some amputees use a wheelchair in their home. This is easier if you have a single story, large home. Those with minimal stairs may decide that it is worthwhile to retrofit their home with ramps. Knee scooter: A knee scooter allows the amputee to rest the bent residual limb on a pad and can then be rolled along a flat surface. This enables mobility throughout the house. The drawback to a knee scooter is that it is not hands free and can be cumbersome in small spaces. Crutches : Crutches are often used by below knee amputees to navigate their home when not using a prosthetic. 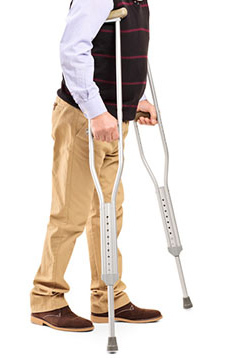 While crutches enable mobility, they require use of hands and arms and can be awkward to use. iWALK2.0 : The only hands-free mobility device. What started as a crutch alternative for people with foot, ankle and other lower limb ailments, has become a game changer for below knee amputees. It is easy to use, quick to put on, and allows the amputee to walk as if they were wearing their permanent prosthetic. 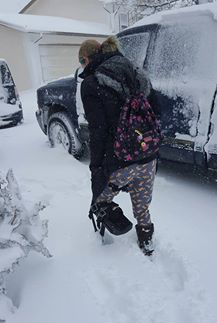 Many amputees us iWALK2.0 at the end of the day when they are just tired of wearing their prosthetic, in the middle of the night to use the restroom, in the shower, and when their permanent prosthetic is damaged or being fitted. To learn more about the iWALK2.0, click here. While below knee amputation surgery is a life-changing event, the aftermath, once perceived to be negative, is actually quite positive. Many people who opt for below knee amputation were living in tremendous pain prior to surgery. 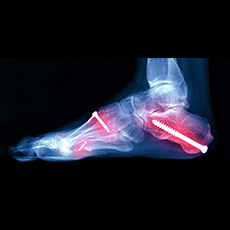 The inherent benefits of removing the painful foot or partial limb are realized very soon after surgery. In addition, many below knee amputees have found that they are able to live an independent, comfortable, and active lifestyle after their surgery. Advances in surgical procedures, permanent prosthetics, and temporary or alternative prosthetics such as iWALK2.0 have helped below knee amputation patients fight pain, recover from serious injuries, and live full and active lives.